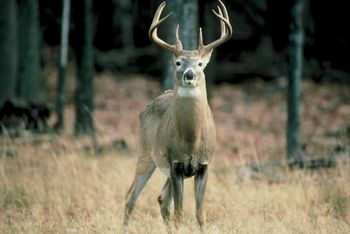 The S.C. Department of Natural Resources (DNR) will open applications for deer lottery hunts on public lands beginning July 1 and ending August 15. Beginning this year applicants will only be able to apply and pay online. Paper applications will no longer be available. Previously accumulated preference points will apply. The waterfowl/quail lottery links will be available mid-September 2014 and turkey will follow late January 2015. Applicants will be able to select a “non-draw” option that will allow you to apply and acquire a preference point, but you will not be considered for selection. This will benefit those who know that they will not be available for the hunts in the current year, but want to maintain their preference history and be considered for selection the following year. The Resident Temporary Wildlife Management Area Permit that has been offered to all lottery hunters in the past will now only be offered for the ½ day hunts (waterfowl and turkey). Those who apply and are selected for the other hunts must possess a regular Wildlife Management Permit at the time they hunt. Remember that the Wildlife Management Area Permit is included in the Sportsman License, Junior Sportsman License and Gratis-over 64 License. A Wildlife Management Area Permit is not required of anyone under the age of 16. DNR will only notify the primary applicant of the lottery results. Whether selected or not, the notification of the results will only be mailed to the primary applicant. The team members will be listed and selected primary applicants will receive hunt instructions. E-mail notification may be available for the deer hunts. DNR encourages applicants to use the e-mail notification option to minimize agency postage. For more information contact Patty Castine at (803) 734-3609. NOTE: The Croft State Park archery only hunts have been cancelled indefinitely.